Crossrail Ltd (CRL) required its tier 1 contractors to implement best practice for recycling as much water collected on site as practicable for reuse during construction and to minimise water use in site accommodation. 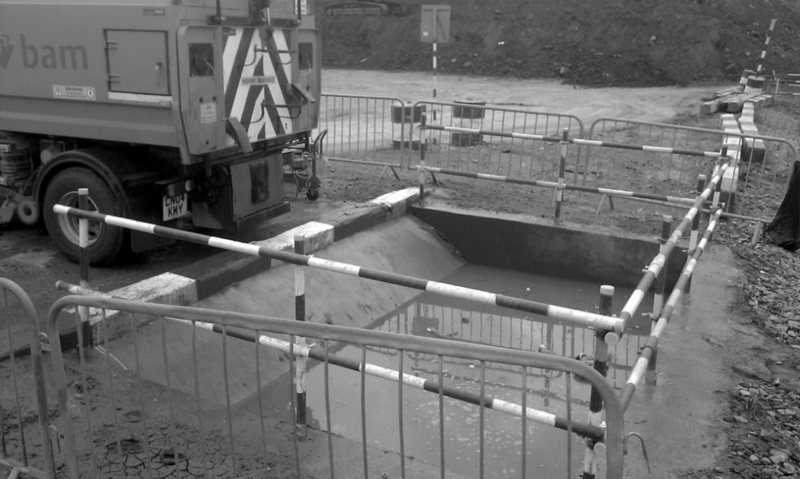 This paper presents case studies that demonstrate the best practice measures that were implemented to conserve water resources on several Crossrail sites. This document may be of use to the construction industry by providing examples of how best practice can be achieved in terms of minimising water use and makes recommendations as to what should be considered early in the planning stage of a project. Greater pressure is being put upon water resources from changes in population, household formation, development and lifestyles . These changes could create a deficit between water supply and demand. Water is vital for health and wellbeing, for agriculture and fisheries and industry and transportation. Since 1930, water consumption has increased by 1% per year . The UK currently receives enough rainfall to supply the demand, however, the rain falls where the fewest people live and when demand is lower in winter . The Environment Agency in 2013 classed the predominant water company area supplying London (Thames Water) as under “Serious Stress”, which means current and future household demand is a high proportion of the effective rainfall which is available to meet that demand . Further pressure on water resources could also be applied from the predicted impacts of climate change including higher summer temperatures, which lead to increased water demand from households, businesses and agriculture. Decreased annual and summer rainfall could lead to wider seasonal variations in river flow and groundwater levels. Increased winter rainfall in higher intensity events could affect effective infiltration and have implications for the design and management of existing and newly planned reservoirs . Historically, much of the focus of the construction industry has been towards reducing waste or carbon . In June 2008 the Strategy for Sustainable Construction was published  and identified that by 2012, water use in the manufacturing and construction phase should be reduced by 20% compared to 2008 usage. In June 2011, the Strategy for Sustainable Construction Group developed an action plan for reducing water usage on construction sites . As part of this programme of work, the group developed a matrix of water using processes and best practices for reducing water consumption. This paper aims to showcase examples of best practice and innovation relating to water use on Crossrail. Crossrail awarded its first enabling works contracts in 2009 and its first main works contracts (tunnelling) in late 2010/early 2011. The remaining civil engineering contracts were awarded between 2011 and 2012. Crossrail did not set any targets for water consumption or reduction in the contracts. Instead, it required its contractors to implement best practice for recycling as much water collected on site as practicable for reuse for construction purposes and to minimise water use in site accommodation. Another requirement encouraged contractors to consult with the Environment Agency to implement best practice. The majority of Crossrail contracts were set a target for either CEEQUAL ‘Excellent’ or BREEAM ‘Very Good’, depending on the type of construction being carried out. These industry benchmarking assessments have credits within them that also encourage methods of considering reducing water use. The majority of contracts assessed under the CEEQUAL scheme achieved the water credits and those using BREEAM have targeted the associated water credits to be achieved for the post construction assessment. Several examples of best practices and innovation were employed by Crossrail contractors to achieve water use savings, water use efficiency and water footprinting during the construction of the central section. For the purpose of this paper, best practice is defined as an existing method that is deemed to be superior to the alternatives. A summary of these is presented in Table 1. C310 Hochtief / J.Murphy & Sons Ltd JV Tunnelling (Mixed Shield or Slurry) Bentonite mixing, slurry dilution and grout mixing Saving of 300,000 litres of potable water daily during the approx 12 months of tunnelling the Thames tunnel works, which is 1.5 tCO2e per month in carbon associated with the treatment of the supply Over £100,000 saved in supply costs. Systemwide fit-out of Crossrail’s 42km of twin bored tunnels using a concreting train. Excavated material transfer station where material was conveyed over a jetty to vessels for transfer to Wallasea Island. Partial demolition of Whitechapel Station and construction of a new station and ticket hall. C405 Costain Limited / Skanska Construction UK Limited New station box construction using a cut and cover method at the southern side of the existing Paddington Network Rail Station. 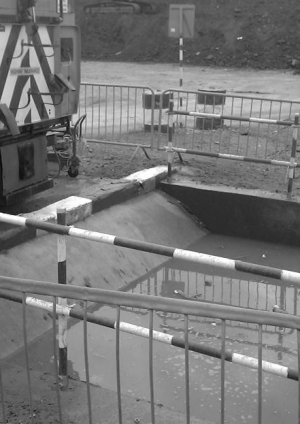 Water foot-printing by smart meter during diaphragm wall construction. No Savings. Monitoring showed each diaphragm wall panel used 72m3. No Savings. The C310 Crossrail Thames Tunnel contract (JV: Hochtief / J Murphy & Sons Ltd) used a mix shield or “slurry” method of tunnelling chalk to carve out twin tunnels of 2.8km from Plumstead to North Woolwich. This method used a sealed, pressurised, air-locked chamber behind the cutter head where the excavated spoil was mixed with bentonite (a mixture of clay and water) to form a liquid. The liquid was then removed through a system of pipework. This method was chosen because of the tidal effect of the River Thames, soft chalk geology and high groundwater level. This method of tunnelling meant C310 used approximately 300,000 litres of potable water on a daily basis. C310 obtained consent from the Environment Agency to recycle groundwater acquired through dewatering for uses such as bentonite mixing, slurry dilution and grout mixing. The benefits of this best practice included reducing potable water consumption and saving money on paying for potable water. C310 won the CEEQUAL Outstanding Achievement Award for Water Resources for this innovation. Connaught Tunnel, situated between Custom House and North Woolwich, was a Victorian brick lined structure, which was renovated as part of the Crossrail works by C315 (VINCI Construction UK Ltd). The renovations and modifications included removal of existing tracks, lowering the concrete inverts to accommodate the new Crossrail trains and overhead line equipment and creating cast steel lined tunnels with a single twin-track concrete box to replace twin single track brick lined tunnels. These works required extensive water usage for activities such as grouting, cleaning and damping down a site of over 10,000m2. C315 re-used the ingress water collected in the tunnel to carry out these activities. The ingress water did not require a licence or consent from the Environment Agency because it was not considered an abstraction of groundwater, which meant there was no restriction on use. C315 monitored the amount saved using a water meter which indicated that 3,500m3 in 6 months and over 1000 litres a day in potable water was saved. The C610 contract (JV: Alstom Transport/TSO /Costain Ltd) involves undertaking the systemwide fit-out of Crossrail’s 42km of tunnels. As part of this project, a 475m long concrete batching train was commissioned to pour sections of the track slab. This process required the use of 10,000 litres of water per day for the wash-out process and train cleaning. 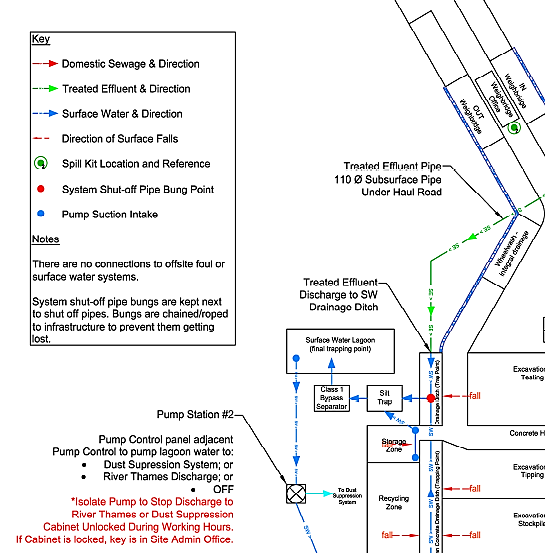 The standard process is to discharge this water to the foul sewer via a trade effluent consent. A bespoke semi-closed loop system was set up which involved the water being collected in a series of sediment tanks, allowing sediments to settle out in three phases before being pumped back to a recycling water tank (with the capacity to hold 3,000 litres). At this point, the addition of CO2 was used to rebalance the pH of the water and a signalling system indicated when the water was ready to be reused. The sediments were collected, transferred to a skip and removed off site by a waste contractor. This best practice won the national gold award for Water Management at The Green Apple Awards 2016. The saving of potable water reduced the cost of paying for this utility and was estimated at £50 per day or £5 per 1000 litres. The Docklands Transfer Station (DTS), situated in Barking, formed part of the C807 Marine Transportation contract (JV: BAM Nuttall Limited/Van Oord UK Ltd) which involved the design, construction, operation, management and maintenance of an excavated materials transfer station, where material was conveyed via a jetty to vessels for transfer to Wallasea Island. C807 operated a road sweeper for the purposes of dust management and cleaning. The road sweeper required a source of water to dampen down the surface and some of the water was recovered back as part of the vacuum system. Under normal circumstances this collected water would be discarded, however, an opportunity was identified to recycle the water by building a catchpit (Figure 1). The catchpit would then discharge the water to a lined settling and storage lagoon via a silt trap and Class 1 bypass petrol separator, which served to remove some suspended solids and oils. The water in the lagoon was then used in dust suppression and for the operation of the site wheel wash (Figure 2). This semi-closed loop system allowed around 200 litres of water to be recovered per catchpit discharge. The scope of the C512 contract (JV: Balfour Beatty Civil Engineering Ltd/Morgan Sindall Group Plc/Vinci Construction Grands Projects) involved the partial demolition of Whitechapel Station and construction of a new station and ticket hall. The project also included the construction of two 30m deep shafts and installation of the new platforms for the Elizabeth Line in the platform tunnels. These works involved working over London Underground and London Overground live railways. As part of these works, C512 installed a semi-closed loop drainage system to capture rainwater from the working platform above the London Overground Line and vehicle deck at the Durwood Street Shaft site. The system worked by capturing rainwater which was then gravity fed through a settlement interceptor into retention tanks holding 14,000 litres. Using rainwater harvesting in dust suppression in combination with site accommodation water efficiency measures such as waterless urinals, dual flush toilets and low flow taps resulted in savings of 1,621,013 litres of potable water per year. C512 also claimed this generated cost savings in excess of £12,000 over the 6 years of the project. Waterless Urinals were installed at the Mile End shaft site offices as part of the C360 Eleanor Street & Mile End shafts civil works contract (JV: Costain Ltd/Skanska Construction UK Ltd). This project comprised of the Crossrail intermediate shafts and headhouses at Mile End Park and Eleanor Street (including all associated enabling works), and the construction of the headhouses at Stepney Green, Limmo Peninsula and Fisher Street. These shafts are to provide intervention access to the Crossrail Tunnels and in some cases to accommodate tunnel ventilation fans. Four waterless urinals were installed at the Mile End office and found to save £416 per year and 65.52 m3 of water per year. This office was used by 90 employees. The C405 Paddington Station Main Works contract (JV: Costain Limited/Skanska Construction UK Limited) consists of a new station box construction using a cut and cover method at the southern side of the existing Paddington Network Rail Station. The perimeter walls consist of 165 diaphragm wall panels, each measuring 3.35m in length by 1.2m wide by 40m depth on all four sides of the box. C405 identified that one of the major water consumption intensive activities was the construction of these diaphragm walls. Water monitoring was undertaken by the use of smart meters at the bentonite plant which demonstrated each panel used 72m3 of water. This monitoring exercise means that this figure could be used as a benchmark for this activity in the future. Future projects should consider the water use of construction activities early in the planning phase and decide if and how best practice can be applied. Implementing these best practices will contribute to the conservation of water resources. All construction projects have office and welfare accommodation. Water efficiency measures are now widely available such as waterless urinals, dual flush toilets and low flow taps and these should be used where possible. Closed loop, or semi closed loop drainage systems should be considered to facilitate the recycling of water. This can be achieved by collecting the water from site activities, or rainwater harvesting. Examples of site activities which can use the recycled water include dust suppression, wheel washes, road sweepers, and concrete batching and associated wash out. Once the water has been collected the sediment and oil can be separated out, the pH balanced (if required) and then the water is ready to be re-used. Instead of using potable water, groundwater or tunnel ingress water can be used in activities such as cleaning and dust suppression. Agreement should be sought from the environmental regulator before this is undertaken. For tunnelling projects, this water can also be used in consumption intensive activities such as tunnel boring machine cooling, bentonite mixing, slurry dilution and grout mixing. Smart metering, or water footprinting should be considered for use on water consuming activities, allowing a body of knowledge to be built up to help set industry benchmarks. Government’s water strategy for England (2008). [Online] available at https://www.gov.uk/government/uploads/system/uploads/attachment_data/file/69346/pb13562-future-water-080204.pdf. Accessed 15th January 2018. Water Challenges in the world and the UK. [Online] available at https://www.populationmatters.org/documents/water_challenges_in_the_world_and_the_uk.pdf. Accessed 9th February 2018. Water Policy in the UK – The Challenges (2012). Royal Geographical Society with IBG. [Online] available at http://eprints.lancs.ac.uk/56158/1/RGS_IBG_Policy_Document_Water_7_32pp.pdf Accessed 9th February 2018. Water Stressed Areas – Final Classification (2013). [Online] available at https://www.gov.uk/government/uploads/system/uploads/attachment_data/file/244333/water-stressed-classification-2013.pdf. Accessed 15th January 2018. HM Government Strategy for Sustainable Construction June 2008. [Online] available at http://webarchive.nationalarchives.gov.uk/+/http:/www.bis.gov.uk/files/file46535.pdf. Accessed 15th January 2018. Water: An Action Plan for reducing water usage on construction sites (June 2011). [Online] available at http://www.greenconstructionboard.org/otherdocs/SCTG09-WaterActionPlanFinalCopy.pdf. Accessed 11th January 2018. Mix Shield TBM Support Pressure: Theoretical Calculation Approaches vs. Practical Experience for Crossrail C310 Thames Tunnel [Online] available at https://www.britishtunnelling.org.uk/ajax/functiongrabber.asp?loadfunction=downloadfile&f=downloads&filename=2015%20ester%20karl.pdf. Accessed 9th February 2018. The Green Book Volume 22 page 53-54 [Online] available at http://thegreenorganisation.info/wp-content/uploads/2017/08/The-Green-Book-Vol-22-WEB1.pdf. Accessed 9th February 2018. Matthew joined Crossrail in December 2014 as an Environmental Auditor. 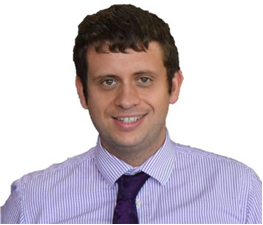 Matthew was responsible for planning and carrying out Environmental and Ethical Sourcing Audits as lead auditor on Tier 1 contractors, partners and delivery team. In May 2016, Matthew became the EMS Manager responsible for managing and maintaining the Environment Management System (EMS) to ensure it complies with ISO 14001, legal and other requirements. His duties also included reviewing environment incidents and conducting the management review with Crossrail’s Sustainability Committee. Matthew was also responsible for delivering and managing the environmental training programme across the project. Matthew also took on an assurance role as Crossrail Environmental Advisor as part of the delivery team at Old Oak Common Depot. Prior to Crossrail, Matthew worked for the Environment Agency as an Environment Management Officer covering North London and the northern Home Counties.